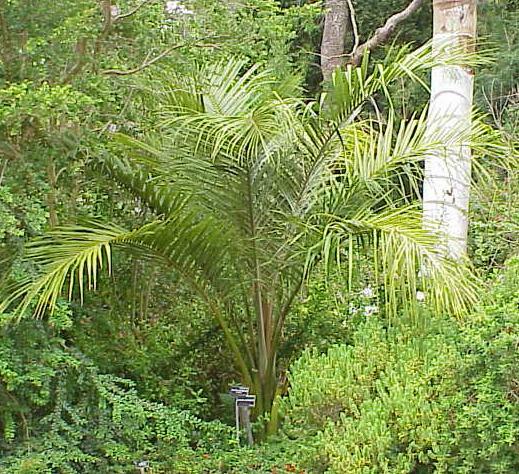 Juania australis (the only known species in the genus) is a very rare palm from the Juan Fernandez Islands, off the coast of Chile, where it grows on exposed cliffsides. 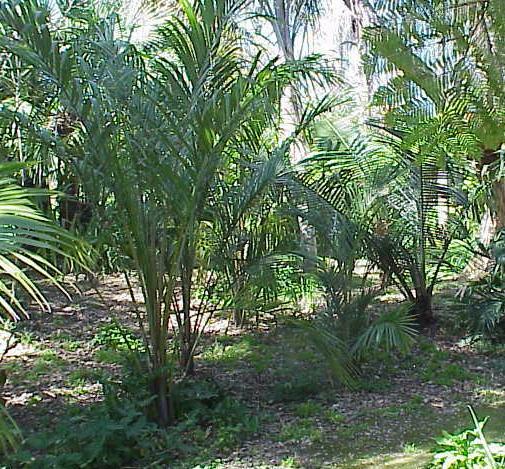 It is a large feather palm related to Ceroxylon, but having a spiny trunk and often considered to be somewhat less attractive. It is known to thrive in cool weather and has so far been tested down to 21�F, having survived this temperature undamaged. However, it is extremely difficult to get hold of, and has the annoying habit of spontaneously dying in cultivation although seems to be most adaptable to Northern California. Perhaps this is because it does not grow in the same conditions as most other palms in its own habitat, and there are things that must be learned about its cultural needs. It should definitely be tried in sheltered spots around the Pacific Northwest, as young plants seem to be hardier than any Ceroxylon of the same age. Seed is reddish orange when ripe and 0.7 inches round. Chonta is the local name in the Juan Fernandez islands and Conta is known as the common name for it anywhere else.